mericon Ingredient Authentication Assays are a suite of kits for target-specific authentication of food and animal feed ingredients and certain pharmaceutical product components of animal and plant origin. All of the assays use the same real-time PCR-based protocol. 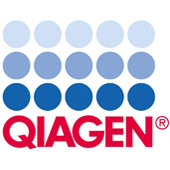 They are part of the comprehensive QIAGEN food testing portfolio, which also features dedicated sample preparation kits, and assays for pathogen and GMO DNA detection. mericon assays perform optimally on the Rotor-Gene Q, but have also been validated for block thermal cyclers.